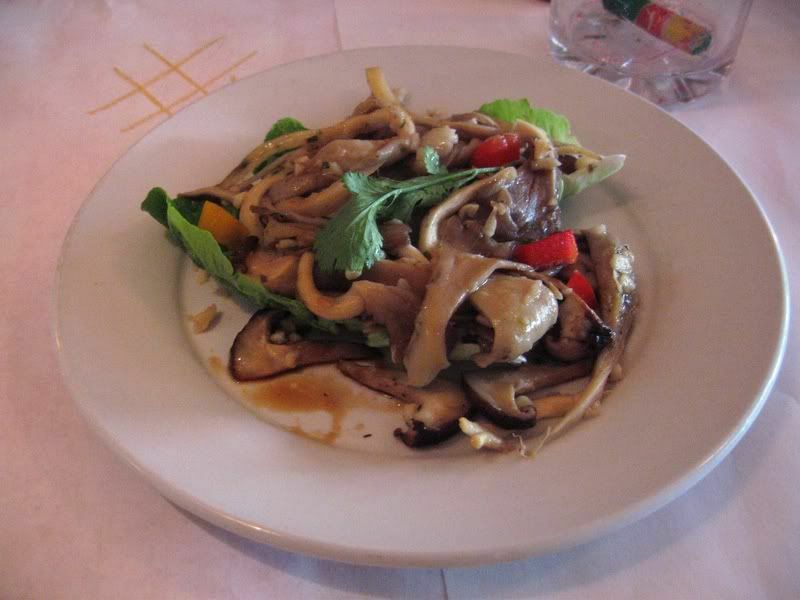 The Sauted Mushrooms were not that great. It was a mix of button, shiitake and enoki mushrooms, totally drowned in a pungeant butter sauce that I found simply overpowering. The Stuffed Mushrooms were better - a few Porcini mushrooms filled with breadcrumbs as well as a bit of cheese and herbs. 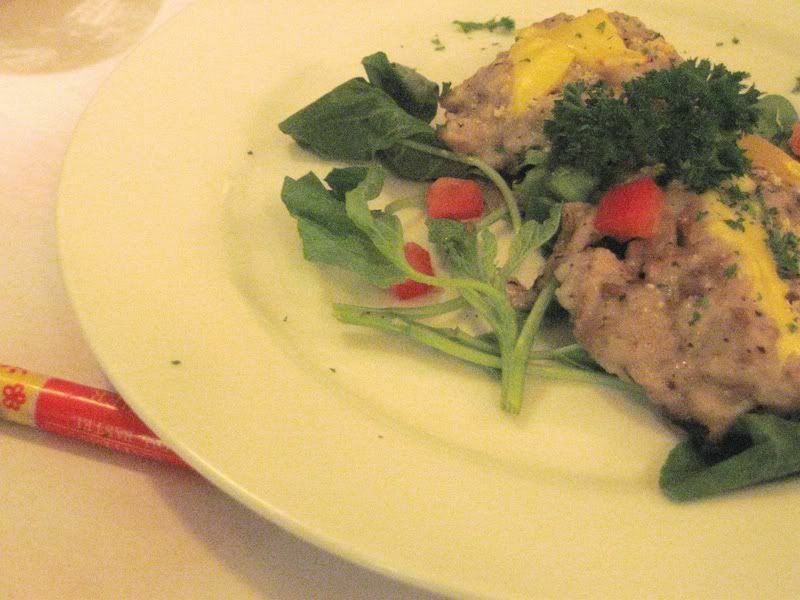 It was fragrant and the serving was not too big, so you don't have to worry about spoiling your dinner. I think the best of the three was definately the Beef with Enoki Mushrooms roll. 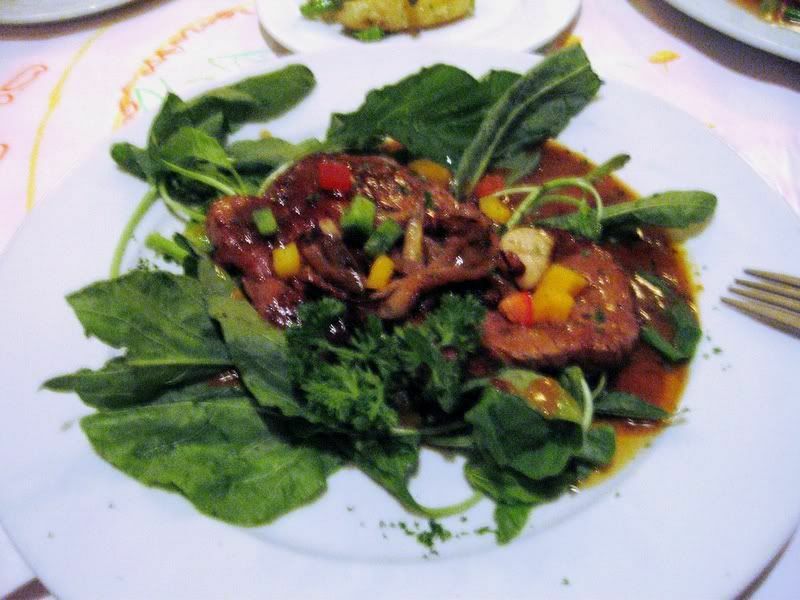 It was a nice textural package - tender beef on the outside and the "crunchy" mushrooms inside with what tasted like a teriyaki sauce. The Fish and Chips is the specialty here, prepared in the classic English beer batter (Hmmm, technically this may not be "Halal" in the strictest sense) and is served with a healthy serving of chips and coleslaw on the side... 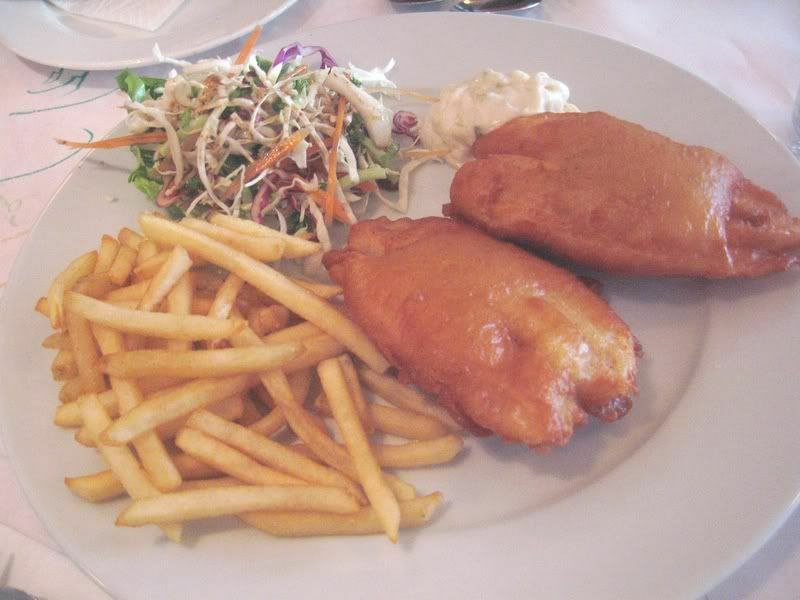 I really like it - the fish was tender and the batter was light and crispy. When I added some vinegar (which you can ask for), it became simply divine. Both lamb dishes were rather forgettable. The meat was quite tender and there wasn't any weird "lamb-y" taste but the sauce for both dishes were a tad too sweet, which didn't compliment the lamb very well. 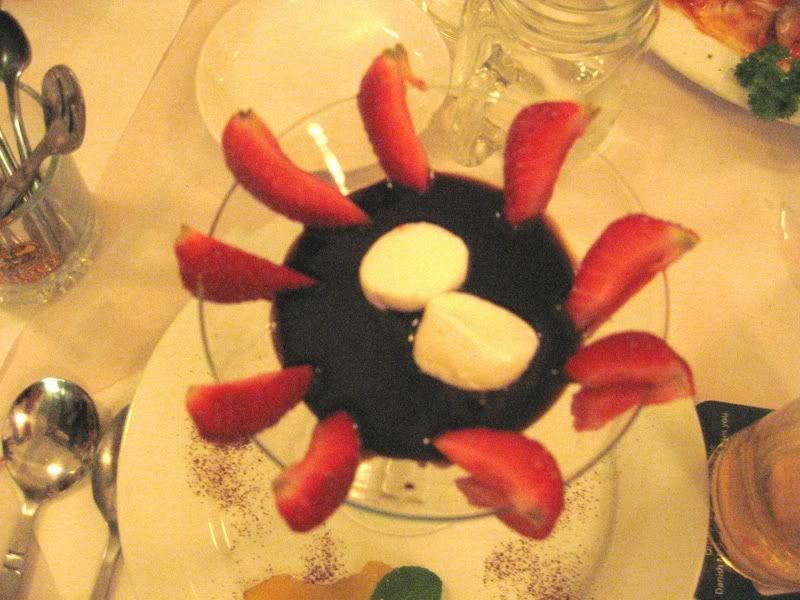 The Chocolate Fondue, served with fresh strawberries and some marshmellows, was normal. It's not really a proper fondue by definition, really... just some melted chocolate in a nice glass. 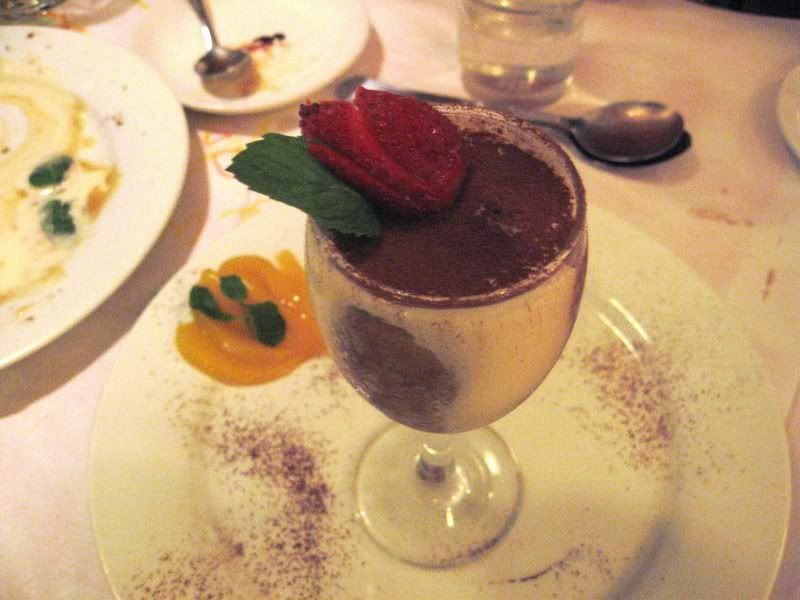 It also wasn't as chocolatey as I would have liked but it was an enjoyable simple dessert. 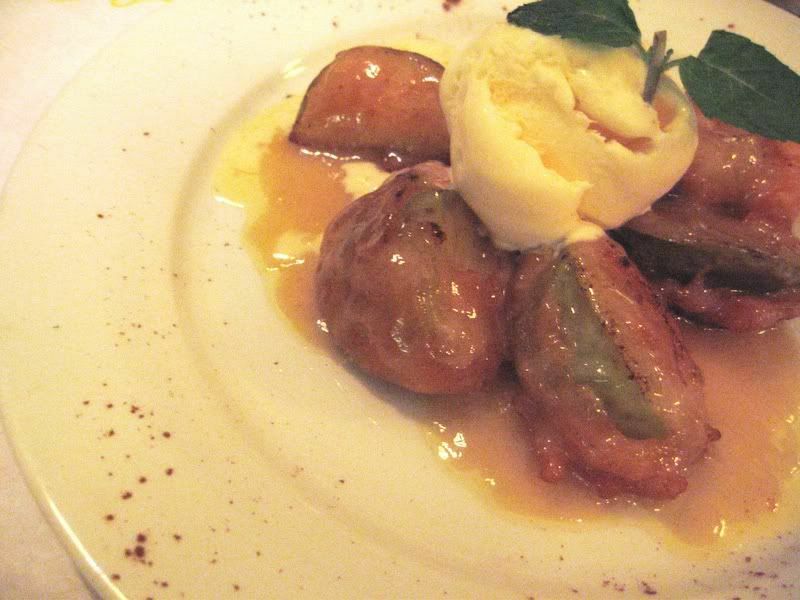 The Tiramisu and the Apple Fritters with Vanilla Ice Cream were also ok. They were in no way the best I've tasted but definately not a bad way to end the night. u sure know how to enjoy life! It is rather painful for the wallet too - but I guess once a week is still ok. It's in the row with Penang Village - the side facing the houses/ main road. .. but better not to have your hope too high for the mushrooms. Click on the picture and you will get descriptions etc. I've been there twice so far. .. but I was really silly - I misplaced the business card before I got to update the phone number into my post. Something is telling me that u have quite a thin for sauted mushies - seems to be a bit of a staple entre for you! In Aus, I used to jusdge a breakfast cafe by its Eggs Benedict - a place might do everything else well, but if the EB aint good, forget it! Is that the same with you and the 'shrooms? 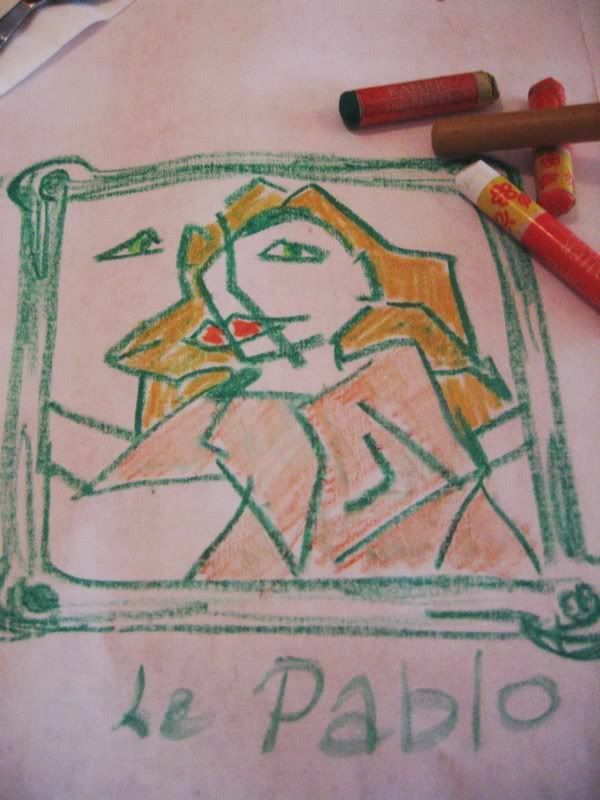 By the way, your art work IS fantastic - what a talent?! I always see this place but didn't know it served Western food. Thxs for the tip - will give it a try. Yeah, what I can say? 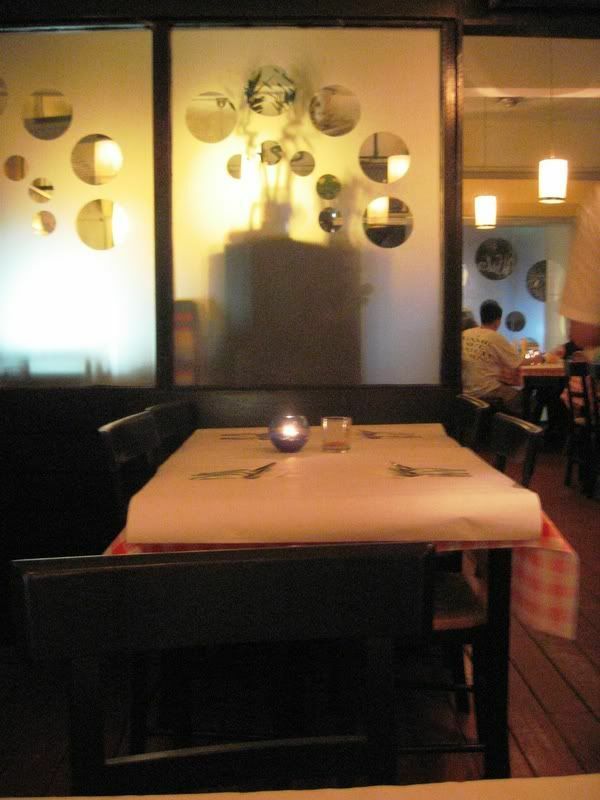 - Everyone has prefered dishes when eating out. 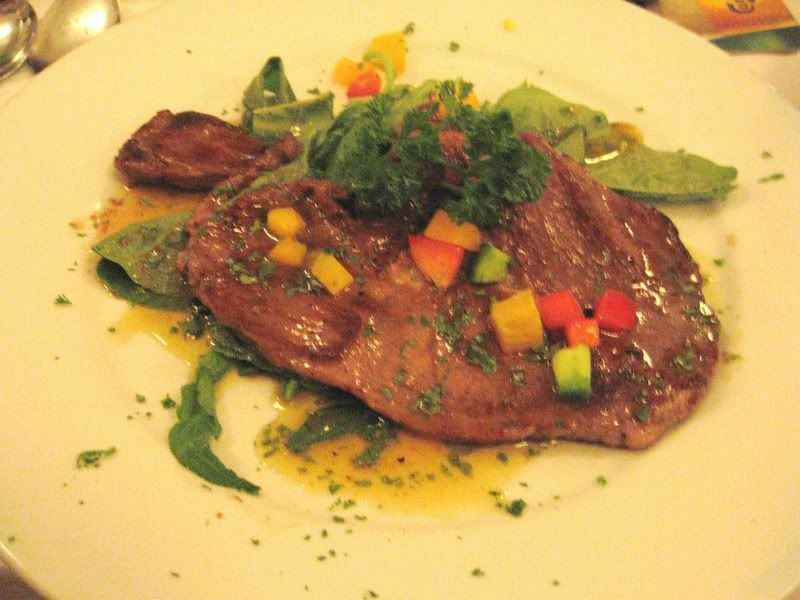 For me (at Western reataurants): it's mushrooms, steak, lamb shank and chocolate desserts. I am a chocoholic of many talents! I hope you like it - the fish and chips are good! 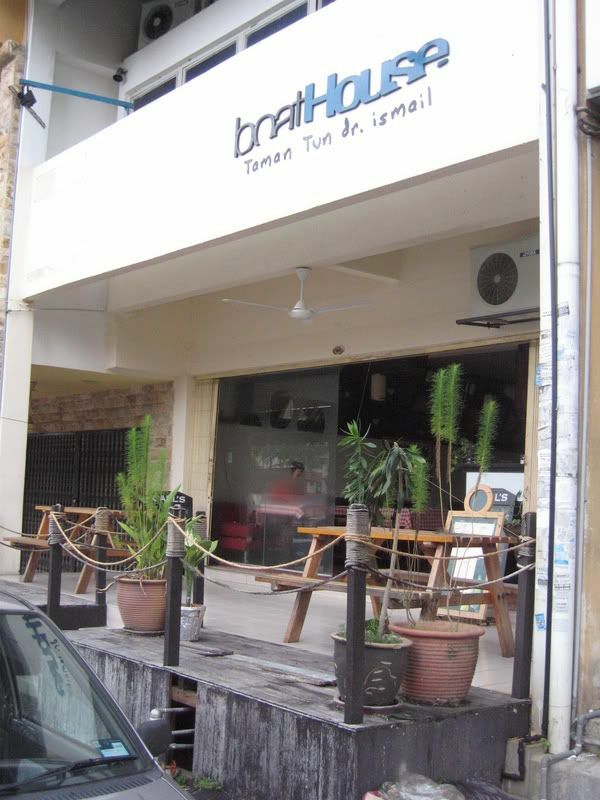 how long has this restaurant been in ttdi? no other branches ah? ... and as far as I know this is the only outlet they have so far.